Enhanced brand through snappy copywriting and thorough content development. 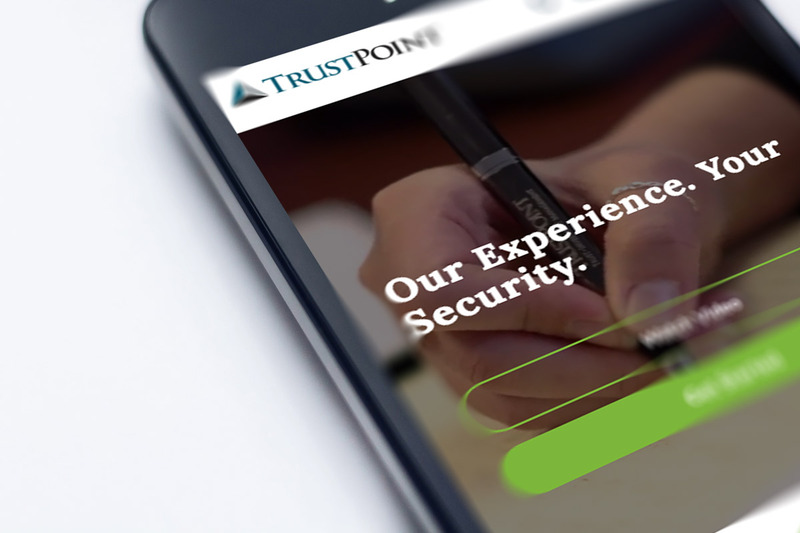 Trust Point is a financial services company that’s been working with customers throughout the world for more than 100 years. Specializing in investment planning, wealth management and asset allocation, Trust Point’s key audience is high-net-worth individuals. As such, the company needed a website that better reflected the high-end market they serve. Trust Point’s old website was out of date, with copy and content that didn’t clearly communicate their unique selling points, services and solutions for customers. The company was in need of an update to their online presence that would satisfy current customers while attracting new ones at the same time. 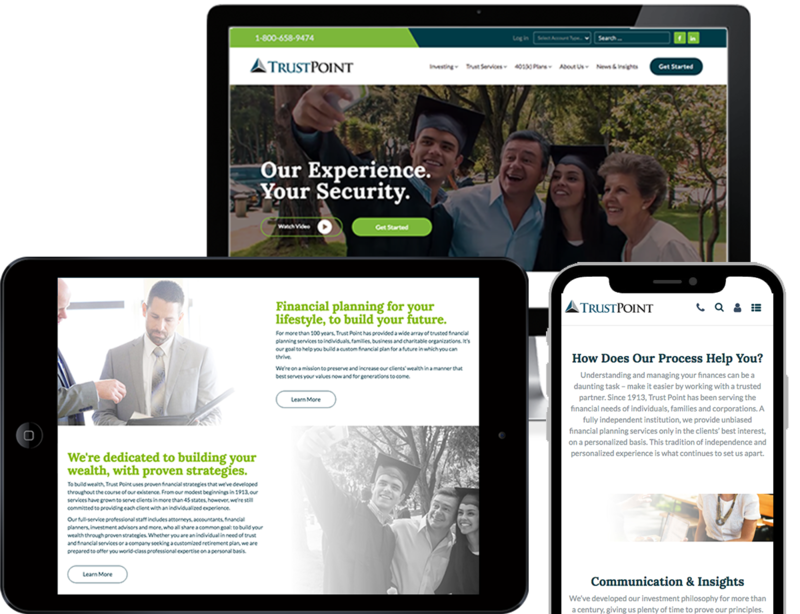 Trust Point tapped Frahm Digital to develop and implement a content strategy that would portray the company as a trusted, well-respected financial advisor. We started with an Exploration session to get to the heart of what the company’s brand platform and messaging should be. Once we determined the style and tone Trust Point wanted to convey, we built out a strategic content strategy that included financial calculators, investment tools, relevant articles and whitepapers. We relied on smart copywriting to develop sharp headlines and content that helped prove just how knowledgeable and reliable the company is, while getting at the heart of their brand – trust. 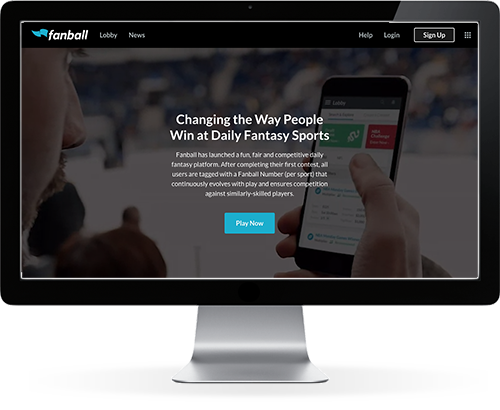 After rolling out the new content on the site, the company has positioned itself as a thought leader in the financial services industry and are drawing in new customers that are attracted to their brand promise.